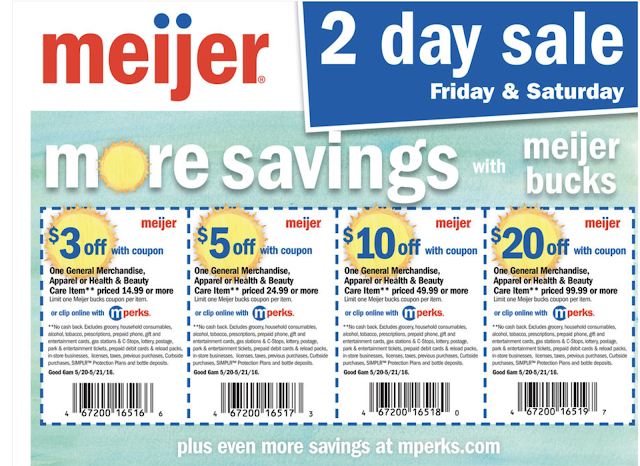 Meijer: 2 day sale (5/20-5/21/16) link is live, check to see prices in your area. Meijer Bucks are also available to click in mPerks! Final Price: As low as $1 after coupon and savingstar! Note: Advil Allergy & Congestion 20ct, maybe a small moneymaker. I will have to wait until Friday to see what is actually included in this sale and will update accordingly!